Infographic of Biketown survey released by PBOT this morning. 160,000 trips, 38,000 individual riders and over 312,000 miles ridden since July of last year. 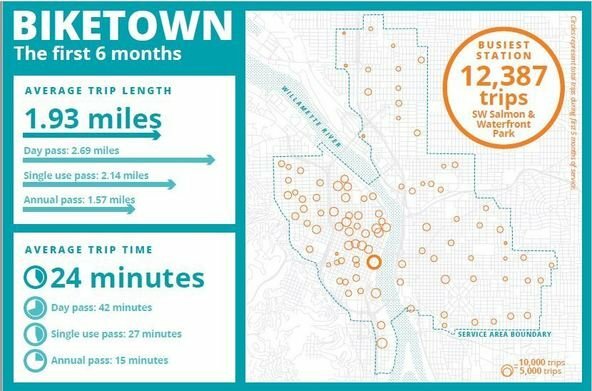 Those are just some of the results from a survey about the Biketown bike share system released by the Portland Bureau of Transportation this morning. In addition to solid usage numbers, the city claims the bikes have boosted business and have helped keep cars off the roads. Overall it’s more great news for PBOT and the promises that were made for years about bike share. In five and a half short months, the bright orange bikes of BIKETOWN have reduced automobile use, increased access to local businesses and expanded tourism opportunities. 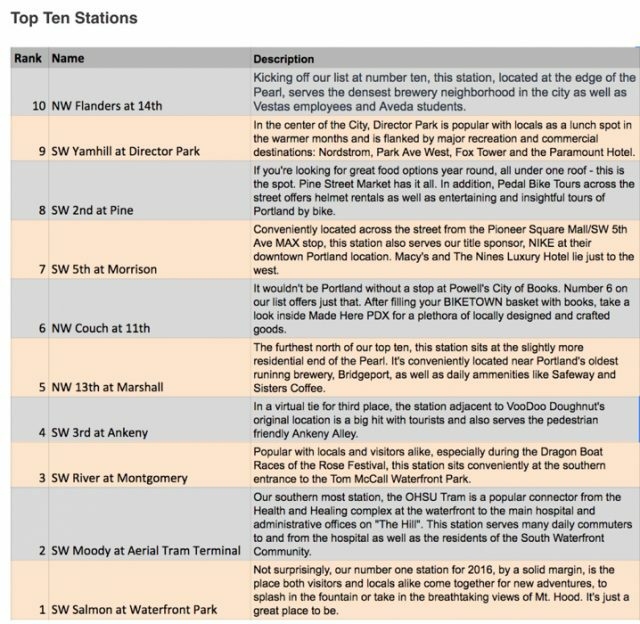 Those are some of the key findings of a survey of more than 2,400 people who have used Portland’s bike share system since it launched July 19. – 56% of BIKETOWN tourist riders surveyed said that bicycling opportunities were a factor in their decision to visit Portland. – 71% of out-of-town BIKETOWN users reported using BIKETOWN to reach shopping or restaurant destinations. – 69% of local BIKETOWN users said they were more likely to patronize a business near a BIKETOWN station. This is great news! Now we need to expand Biketown to serve all of our inner bike friendly neighborhoods. Perhaps even push it out east of 82nd. The current service area boundaries don’t make much sense. It is needed in Lair Hill by the Natural Medicine University. I was a skeptic at first; I am now a convert. The system seems well designed and run, aside from the crap-assed numeric entry keyboards on the bikes. Another former skeptic turned yearly subscriber here. I always thought: “I already bike. Why would I need to borrow a bike?” But somehow I’ve come up with ways to grab BikeTowns left and right. The yearly price is bafflingly low. $144!?! I think I posted this here before, but an annual Trimet pass is $1,100. For the same price you could get a Biketown pass and 382 single trip passes. Great news! Hopefully an expansion is in the works. I’m thinking an expansion to Foster-Powell coincided with the Foster Streetscape would be a terrific idea. 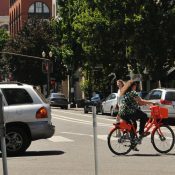 In addition to tracking car trips and car ownership among BIKETOWN users, is Portland tracking how overall traffic congestion is changing as a result of BIKETOWN? As this study found, local traffic congestion has declined about 4% where Capital Bikeshare is available. I don’t think Portland monitors traffic counts frequently enough to draw any conclusions. Maybe there is additional information that’s not available via their public site. I imagine traffic congestion data can be purchased from Google or Waze. An extension that includes Hollywood TC and Providence Portland would be amazing. It’s a big distance between Lloyd and Hollywood, and Biketown would be great for “last mile” trips. The press release says the average trip length is 1.57 miles, but the trip number and total mile number given support the 1.93 mile average trip length. Not that it matters much, but I’m curious about this discrepancy. The very small optimistic side of my brain thinks most of these trips should have replaced walking trips since they are so short. My reality-based side agrees with the survey data that many of them have indeed replaced car trips. Aren’t something like 45% of car trips less than two miles? This seems to be working well out of the gate, er, station. Hopefully it will continue to thrive and increase in size and reach. Also, did I read correctly that less than a thousand trips were made by Biketown for All members out of a total of 160k trips? That seems like a very inadequate reach into the low-income portion of the community. Typo in the press release. 1.57 is the average trip length for annual memberships. Interesting point. A 2 mile walk is a lot more exercise (and probably a wash time-wise all things considered) than a 2 mile ride and the carbon footprint is dramatically less (no bike building or other infrastructure). Program seems like a significant increase in carbon use. I’m glad there are others here not taking these claims at face value. I’m open to and would be delighted to find out that this bike share is a win on all or some of the fronts it is touted to be, but in the meantime I urge others to apply some critical scrutiny. It is quite possible for bikes to offset a large number of walking trips, but also enough auto trips that they are a net win. Of course that is possible; I don’t think anyone is disputing that. But my concern is that we could let our collective enthusiasm get ahead of our need to be vigilant, ask the tough questions, make sure that what is asserted or inferred is actually true. With bike share, it may be longer, but for myself personally, with my own bike, biking is at least twice as fast as walking. That’s on residential streets and crossing a major thoroughfare with a signal. For two miles, a 40 min walk compares to 20 minutes or less with a bike. That’s a significant time savings. Even on one of those heavy bike share bikes, people ought to be able to easily do 7-10mph on level ground. Might be able to carry quite a load, more easily on bike share than carrying by hand or in a backpack. A 2 mile walk takes 45 minutes, a 2 mile ride takes 10 minutes. Quite the contrary. A bike extends the reach of folks to get to more places and faster. 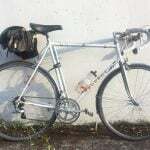 There’s all kinds of viable alternatives to reach places, but biking is fun, fast, and healthy way to get further without putting much stress on knees, ankles, etc. The carbon cost of building bikes, the “stations”, and any other infrastructure is negligible. To slice and dice this as biking vs. walking is to do a great disservice to the whole concept of human-powered transportation. Before you assume these bike trips could replace walking trips, remember that in many cases people are making MULTIPLE 1.93-mile trips in a day. Also, even a single 1.93 mile trip isn’t necessarily easily replaced by walking. 1.93 miles on a bike takes 10 minutes. 1.93 miles walking takes 30-40. I don’t know about you, but I don’t have that many 20-30 minute (the difference between walking and biking) blocks of time to spare. For annual members it’s 1.57 miles average length, 15 minute average duration. That might sound slow. But travel by all modes tends to be slow in the denser inner areas. Walking included. Taking into account time to walk to and from a dock, lock and unlock a bike, possibly more circuitous routing etc…I’d estimate travel speeds for me are in the neighborhood of 5 mph biking on surface streets, bumped up to 9 if a lot of the trip is on a greenway, compared with walking at 2-3 mph depending on the route. Lights, stop signs, cross traffic, crowds…it slows you down. There are a ton of renters and immigrant/refugee community members in Creston Kenilworth which is just south of the current map. One of the Catholic Charities mega complexes for immigrants/refugees is literally on the new 28th greenway. It would be almost criminal not to expand there and put up stations on 28th, gladstone (near the C Bar cluster and the Gladstone Pizza cluster would be great), 26th, 42nd, etc. Full disclosure: That’s also my neck of the woods. SO PLEAAAASE COME ON DOWN! Another Gladstone resident here agreeing! I think this is one of the most logical extensions, even continuing it down to Reed and ideally Sellwood too. Not to mention a station at each of the orange line max stops, especially Bybee with its lack of parking. Good point about Reed! I imagine the students would use them pretty heavily. In this thread, every Portland resident describes why their own neighborhood is obviously the most logical extension. Let’s put some kiosks along the Springwater. That might make getting to Gresham a bit easier for folks down there. Good news, it seems, some strong usage taking place. I’m wondering some whether the stats indicate ages of the people riding. In mind with this, how many people 16 and under, required by Oregon law to wear bike helmets, may be riding bike share bikes rented for them by for people 16 and over, that aren’t required to wear bike helmets. Bringing this up, because yesterday in the tweet column, I happened to notice the jeanette sadik kahn’s succinct suggestion that Seattle’s bike share went down the tubes do to that city having an all ages mandatory helmet use law. This despite the fact that some Seattle residents are of the opinion that the helmet law there had little if anything to with the failure of the city’s bike share system, and that the failure had instead, much to do with poor decisions about chosen service areas. By the way, in this weblog’s most recent monday roundup, there’s a comment from an apparent Seattle resident presenting their view that it was not the helmet law, but instead, poor choice of some of the service areas that caused the system to fail. They are few, but I remember reading that cities around the world which mandate helmets for bike share are among the worst performing. I don’t think that’s just coincidence, and in Seattle’s case I think the lack of station density and poor locations just made it worse. wsbob, to ride Biketown you’re required to be 18 or over. So the helmet law doesn’t apply to any Biketown users. hmm…thanks emily…I wasn’t clear on what the rule on this was. I had semi-thought that people under 18 just couldn’t rent the bikes, but that someone older, like a parent, could rent a bike share bike for their say, 16 year old kid to go on a family ride or other supervised ride situation. There’s a lot of 14-17 year old kids that are easily big enough to ride these bikes. Maybe even some 13 year old kids. The system could be missing out on many potential customers. I wonder if biketown is continuing to look into somehow expanding the service to these people. Good start nevertheless, if the stats hold up, and especially if increases show in coming months. and who would know you rented a bike for your nephew unless it was reported? Biketown knows I did that… or at least now they do. Obviously it’s a hard to enforce rule, but from a legal standpoint, they’ve covered themselves and also don’t need to provide helmets. If possible, it would be nice if they dropped the age limit to 16. Meaning the helmet advocates. Right? You’ll have to look hard to find someone willing to cross lines on their analysis. Or bike share advocates that aren’t necessarily helmet advocates. I think some people really believe in the transportation value of bike share to cities. Helmet use required or not, they want to think that the value and appeal of bike share is so strong, that existence of a mandatory helmet use requirement would not deter bike share systems from succeeding. I have to ask myself the question ‘How many people will decide not to ride bike share bikes, either due to use of a bike share helmet being required, or due to bike helmets not being available for rent at point of rental?’. In Portland, second hand word of mouth reports by observation, about use of bike helmets while riding bike share bikes in this city, is the only gauge I have to know how many people are using bike helmets with bike share. Only a couple reports at that, and the observation was that lots of people riding bike share without bike helmets. Out here in Beaverton, use of bike helmets by people riding their personal bikes, by my observation, seems to be common…more common than not using bike helmets. Without some form of a trial run, I’ve no way of knowing for certain, but this rather suggests to me that if bike share had helmets available, there would be people wanting use them while they rode bike share; not because the law requires their use, which it doesn’t in Oregon, of people that are over 16 years old…but because they prefer to ride, using a bike helmet. Getting back to the use of bike helmets while people there road Seattle’s bike share bikes…despite the city having the all ages bike helmet law, how common might it have been for people to just go ahead and ride bike share bikes in that city, deciding not to bother with the helmet, and take a chance the police wouldn’t enforce? By the way…did any bike share riders in Seattle, get cited for not using a bike helmet while riding? I sure wish they’d release the open trip data that was promised- and is in the contract. Biketown is at ~1000 trips per day. With a thousand bike system. Hardly impressive. In its first year… are you saying we should get rid of it already? Nope. Not at all. I’ve done more than my share of those 160k trips and would be upset if the system were to fold. New York’s system recorded 39,766 trips with 10,000 bicycles last Thursday, a day when it didn’t get above 34 degrees. How long is Portland going to keep a system going where many bikes don’t leave the dock for an entire day? There are a few more people living in NYC than PDX. Biketown’s winter usage isn’t exactly weak. Population is immaterial. 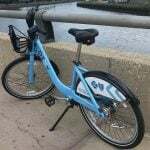 Does it make sense to run a bike-share system where the bikes are used an average of once per day? I would think the floor usage ould be twice daily, covering a single user’s single round-trip. Any less than that and bikes are sitting out, unused, for more than a day at a time. I am sure that BikePortland readers could come up with a bicycle promotion program that would have better results. Raw numbers are useless. What are the numbers per-capita? Why did Portland buy such a large bike-share system if the bikes are getting used only about once a day? Seems wasteful and inefficient. This is interesting coming on the heels of the news out of Seattle. How do these figures compare to projections? How is the system faring financially? What will it take for social acceptance to take hold the same as Uber/Lyft has in this town? 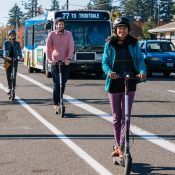 When the bike-share system launched in July, city leaders hoped it would get more Portlanders on bikes for more trips, taking cars off the road. In the first month, users took nearly 59,000 trips on Biketown bikes, traveling 136,000 miles and making significant progress toward a goal of 400,000 rides in the program’s first year. As an annual pass holder, it’s so great to see these very positive numbers for Biketown! Kudos to PBOT and Motivate for running this program so well thus far. I hope this means they’ll be able to expand soon, especially into the eastern NE neighborhoods. It would be fantastic to have a Biketown station at each MAX stop out to Gateway (or even farther). I was a big supporter of bikeshare (former member of NYC Citibikes) but skeptical about Biketown’s “dockless” model. Nevertheless, I ponied up for a founding membership and . . . have been pleasantly surprised. The system seems to be working very well. However, what is still missing is financial information. is Biketown making money, or at least not losing too much money? What is the cost from theft, for rebalancing? Anyone know where this data is? I wouldn’t expect to hear anything about finances unless they’re positive. So in the absence of good news, it’s only natural to assume that the program is very much operating in the red… especially during winter months. “Fake it ’til you make it,” as the showbiz saying goes. Transparency is not a priority. John, Those are my questions too. I’m a big fan of the system, but confess to having built up substantial $1 credits from removing the bikes I use from a priority station (right outside my work). This makes my member pass is essentially free (to this point), but also raises the question about revenue generation. At least we still have 4 1/2 years left, but especially in the center city there are streets that need redesign (on-street parking removal and/or lane reallocation) in order to make it feel safer for the masses. The $1 credit is intended as an incentive to have the riders do some of the work of bike balancing, thus saving costs on labor. For every $1 credit you received somebody else paid a $2 fee, creating $1 of net positive revenue for Biketown. Why do you say somebody else paid a $2 fee? That’s only in the case a rider finishes a ride away from a kiosk. Maybe it’s happening more than I suspect. On the west side the station density seems high enough there’d be little reason to do so, but maybe it happens more frequently on the east side. Reading your post again I realize I misinterpreted what you were saying. I thought you were picking the bikes up from a non-biketown rack. I’m not sure you’re correct. I’ve been hit with a few $2 charges even when I locked a bike at a dock, but more often have received a $1 credit when I got a bike from a dock. Biketown took off the $2 charges when I told them I left it at a dock, but I stopped emailing them to do so because with all the $1 credits I’m not paying much if anything anyway. But the point is I get ‘unearned’ $1 credits much more often than $2 charges. I remember a bunch of complaints that people were getting those charges when locking at docks. I think biketown might not have the bikes ‘remember’ if they charged someone $2 for being left away from a dock, and the credit is just based on where the bike thinks it is when it wakes up. And that they either add a larger buffer around docks for determining if charges should be applied than if credits are given or that GPS is more accurate when it’s been on for a while than when bikes or just starting up. Have they released other data, like rides per bike per day? That is a useful metric that many systems use to track usage and compare to other programs. The last 40 of those 180 days are going to have really low numbers relative to what would be expected for an average winter. And the 40 days previous were unusually wet. And the first 100 days would be low because of folks getting accustomed to the system. So I wouldn’t think 1 trip per bike per day is necessarily an indicator of poor utilization. Not yet. And I’m a annual member and have yet to take my first ride. So the next 180 day period will have at least a dozen rides from me on the books. Press release called it the 2016 biketown report and referred to ‘five and a half short months’. I was thinking it was through December 31st, not some time in January. A bit less than 180 days. I’m imagining a full spring/summer will lift the average numbers up quite a bit. Starting in mid-July meant missing a lot of prime biking time in 2016. As a personal anecdote, I only have 6 rides in January so far and had 18 in December, while I averaged nearly 40 a month from the July launch to November. I wouldn’t be surprised if the ride/bike/day in 2017 is significantly higher than it was for the first 6 months. I wonder if PBOT has any numbers on illegal downtown sidewalk riding since Biketown launched. 5.5 months = 165 days, 160,000 trips, 1,000 bikes, 1 trip/bike/day. Of course that includes Dec and Jan.
That URL provides info about the current status of the system, but no financial or historic use data (as far as I could see). I was just thinking that someone ought to be capturing the data from the “.json” pages (at http://biketownpdx.socialbicycles.com/opendata/gbfs.json) and stowing it in a historical database. No doubt, PBOT is doing this, but the data is there for anyone to capture. The capture algorithm wouldn’t be too hard. Wake up once a minute, read the main page and download each of the data files listed. Motivate appears to update the data once a minute and the format looks relatively self-documenting. I wonder if they’ve published a how-to or tutorial document somewhere. Since my wife started a new job at MLK and Burnside, Biketown has simplified the last leg of her commute- she gets off the Max at OMSI and grabs a bike to get the rest of the way to work. If the most popular station is near the salmon street fountain, what percentage of biketown users do some kind of loop around the waterfront and then return the bike to the exact same station, effectively traveling 0 miles? The bikes all have GPS, so they know how far you’ve ridden. It’s not simply a calculation between the start and end point. The weird thing is that if they were to ride in the opposite direction, they’d have effectively traveled negative 0 miles. I’ll bet Biketown’s software is not equipped to compute this properly. This is great but not surprising. I’ve never ridden a Biketown bike but I hear from people who have that the bikes themselves are very nicely designed from a comfort perspective. Comfortable geometry and handlebars. I’ve ridden the Vancouver, Seattle and Toronto bike share bikes and while they all work and are okay, I find Seattle’s and Vancouver’s bikes to have more of a mountain bike style of riding rather than the upright “Dutch” style that the Biketown bikes seem to have. Vancouver’s Mobi system so far has been successful despite being in a jurisdiction that hasn’t yet got rid of its all-ages mandatory helmet law. I have written and conducted surveys myself, and will register my suspicions about these particular responses. Let’s consider for the moment who is asking the questions and who is answering them. The potential for phrasing these questions in a leading manner, and for customers to answer them strategically seems awfully high. We all know, whether we participate in bikeshare or not, that driving less and biking more are both behaviors that are considered socially valuable. We’d probably all like to think of ourselves as doing more of one and less of the other—a priori—whether or not we are bikeshare members. I take all surveys with a grain of salt, specifically for this reason. My own feeling is that the reporting is more rosy than the reality even if Biketown is a good idea. My anecdotal observations are that they seem popular with tourists and that use is disproportionately high when people don’t want to take their own bikes out — the proportion of Biketown to non Biketown riders has skyrocketed in the snow even if the total raw numbers of riders are low. What they look great for is low speed touring in the main area and short hops near the center. I would buy a membership except both my home and work are outside the service area. I’ve had some free credit from the beginning which I still haven’t gotten around to using. I agree, self-selecting, self-reporting survey data is inherently unreliable. What I’d like to see is VMT per-capita graphed with miles cycled per biketown customer. Annual member here, and fortunate to both live and work in the service area. I usually use mine for a) trips to and/or from work (often I’ll bike one way and bus the other, due to laziness/weather/etc), b) trips to get groceries, and c) when I *just* miss a bus and don’t want to wait. My average trip length is 1.6 miles, so I’m right in that “short hop” category. For recreational rides, I still use my own bike, but for trips with a purpose, I love the flexibility of ditching the bike partway through a trip chain in favor of walking or transit, and not worrying about constantly locking/unlocking my own bike, fretting about it or its parts getting stolen while I’m away from it, or hauling it on the bus if I decide I’m done riding for whatever reason. I am among those thinking that there’s a bunch of people who would love to use it, if it only went to more neighborhoods and commercial areas. Really hoping to see extensions north, south, and east so more people have a chance to utilize it. This post fails to recognize the tragic implications of accommodating Bike Town’s infrastructure. Just think of all the poor people who have had to park slightly further away from their destination because of the bike stations. Maybe they even had to circle the block. Those are seconds, or more likely entire MINUTES of their lives that they’ll never get back. Personally, I’m horrified seeing the mighty bike lobby pushing the agenda of people who choose to ride bikes against the interests of everyone else who does not want to be forced to walk further and burn their hard-earned calories. Also, is anybody horrified at how low people are setting the saddles? Their poor knees!!! 🙁 I want to put signage on the bikes for where the saddles should be set. Few people know Biketown can easily be free for many. Here’s how: “Priority hubs” at certain locations pay a $1 credit for removing a bike from the station and returning it to a different station. For anyone who lives and/or works near a priority hub the $1 credits can help offset the costs of use for any user. Here is a list of the 8 “priority hubs” as tweeted by BikeTown in October of last year: SE Clay at Water, SE Ladd at Hawthorne, NW Flanders at 14th, NW Couch at 11th, SW Morrison at Pioneer Courthouse Square, NW Raleigh at 21st, NW 13th at Marshall, SW Naito at Ankeny Plaza. Now if it’s the case you consider yourself a bike advocate then you must be in favor of BikeTown, whether you use the system or not. Thus far I’ve seen no greater opposition than people who ride regularly so I imagine if you’ve read this far and dislike Biketown you may comment. Bike advocates might consider accumulating credits in such a way that you are willing to share your Biketown Membership with others to increase it’s use and visibility and/or consider parking away from a hub when you have reached your desination ($2 charge). 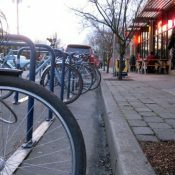 By utilizing the “hold” feature and/or parking a BikeTown bike away from a hub you are helping to increase it’s visibility through increased use of the system. Other users may receive $1 credit by retrieving bikes outside the hub, again adding users (potentially). My point with all this is in order for the public will to be in place for Vision Zero to become a reality BikeTown must succeed. The numbers of people riding bikes in the City must clearly outweigh the numbers of other modes (sans walkers). If you consider yourself a bicycle advocate and have not used Biketown please identify someone who can help you try it out and understand how it works. Seems like kind of a stretch to me. I’m all for more people biking and have in the past weighed in here on fleet rebalancing, but the idea that I’d run around moving orange bikes around (and walking back?) for $1 credits for a system I am not using seems an odd business model, frankly. It’s not a business model, it’s a way of being that is free and void of ownership and can cost less than a tune-up. No doubt the VZ efforts and infrastructure implementation in places like NYC are happening faster because of the success of their bikeshare systems. Until riding a bicycle is seen as something that is mainstream, safe and socially acceptable it will only be a fringe activity in Portland. I’m very curious to know bike advocates objections to BikeTown. Most of what I’ve heard is “I have a bike.” Don’t we all? For me the jury’s still out. I was a skeptic, and wrote about my objections here to the corporate sponsorship angle, back when Nike was chosen/chose Portland. I’m open to learning that bikeshare is fantastic, the solution to our woes, the missing link, etc. But in the meantime my impressions have been that the orange bikes seem to complement a lifestyle that is very spontaneous, which isn’t something I’m particularly familiar with, so have a harder time understanding the ways it works for non-tourists. I’m less enamored of the degree to which this caters to the sight-seers, personally, but remain interested in the finer grained understandings of how these bikes are used by locals. I find that I use them more than I expected; once when I had a weekend visitor and wanted to get him from the train station to my office, another when I was taking Max from the airport and needed to get downtown, but the trains weren’t running due to anti-Trump protests, another when I swam across the Willamette and needed a way back to my regular bike, et. al. All unusual one-off cases, but I’ve accrued enough of them that I’ve found the service useful. For me they’re another option; one that is more fun than the bus, cheaper/greener than Car2Go, faster than walking, and less douchey than Uber. Those are interesting examples. Thanks. Exactly what I was fishing for. Anything that keeps me from using Uber is a win for the universe. 9watts and anyone else who considers themselves a bicycle advocate, but a skeptic when it comes to BikeTown, I invite you to learn more by asking any member to go for a ride. Annual members can check out up to 4 bikes at a time. 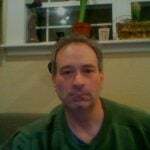 Like some, I initially joined as a philanthropic effort to be supportive of the system. 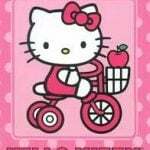 Like Hello,Kitty though I’ve found the bikes to be much more useful and time-saving. I’d like to share my credits with any bike advocate who is not already a member. I appreciate the offer and your sentiment of making this work for a larger pool of people. However to me (who bikes everywhere for very nearly all purposes) this is a solution looking for a problem. My bike is an extension of me. I take it with me wherever I go, like I take my shoes and my keys with me. I don’t really see a situation in which—again, for me—this system would be useful, make sense, offer some kind of tangible benefit. Heck, I don’t even have a smart phone. From following conversations here over the years about bikeshare I understand that for folks who find themselves spontaneously changing their plans and who didn’t arrive wherever they are when the spirit moves them to change their plans by their own bike, this offers something useful, but I don’t operate like that. I use bike trailers to haul stuff all over the metro area. I know my bike and its strengths and weaknesses. I’m not looking for anything else. Besides why would I rent something when I already own an equivalent one that suits me just fine? Which is not to say that others don’t find this tremendously useful, and I celebrate this endorsement, this discovery; I’m only responding here to your assumption that this could offer (unexpected?) utility to folks like me. Sure thing, the offer stands for anyone. I’ve simply found there tends to be a long list of misconceptions about BikeTown. Do you think you need a smartphone to use it? A card? I was surprised to see Jonathan mention using a card. I’ve found it much easier to just memorize my account number and pin. No keys, no lock necessary. Also, the bikes are quite fast if you know how to ride them, which is different than a chained bike. I had assumed so, yes. But knowing that I was not in the market I also admit to not paying close attention.